The tragic California wildfires affected so many in our home state. Because of the work we’ve been privileged to do for our wonderful clients, the RNB team has made several donations to aid our neighbors in need. Thank you to all of our clients for helping us to help them. 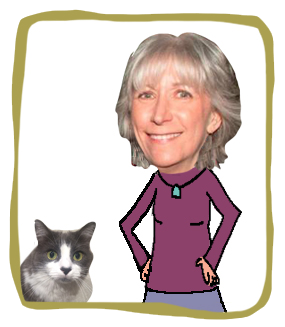 Thanks to my amazing collaborators – Sterling, my ace office assistant & Adrienne Hedger, humorist/cartoonist/writer/friend! How many times have you received a message through social media reminding you that you’ve achieved a milestone – a work anniversary, number of followers, recognition of some kind – and you hadn’t even realized it yourself? Today, my brother(!) congratulated me on LinkedIn on my anniversary. April, 2018 marks my eighteenth year in business. Of course, I hadn’t even thought about it. When I saw his message, I was on a conference call with a client team. Of course, I was! These 18 years have been all about working with amazing clients and partners. Great people, extraordinary creativity and exciting, fun projects! Thanks to everyone for being a part of this continuing journey. I look forward to working with you all for years to come. We’ve got a lot of communicating to do! And I’ll try harder to remember my own anniversary…maybe for Number 20?! 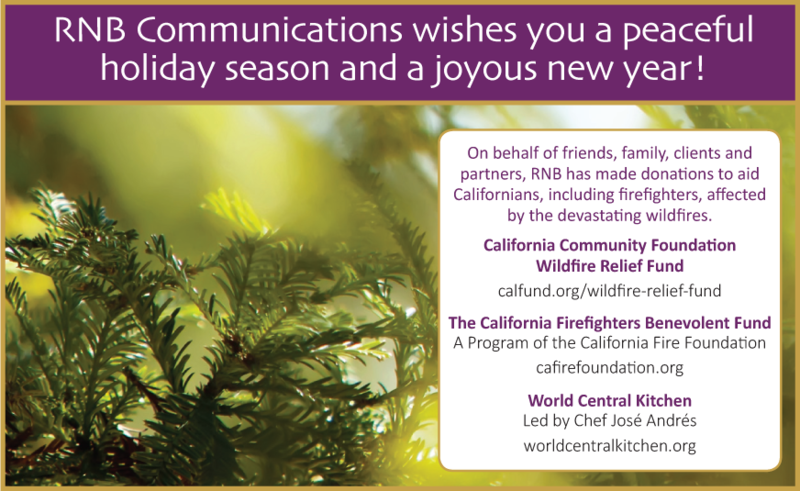 To our clients and colleagues, the RNB team extends our thanks for the gift of collaborating with you. To those who suffered in 2017 and anyone who may suffer still, we believe that helping each other and caring for one another is the only path forward. Wishing everyone all the best this holiday season and in 2018. At the 2017 ISSA-LA Summit, a gathering of information security professionals, I had the privilege of being interviewed for ITSP Magazine, which explores what’s happening at the intersection of IT security and society. While I was attending to absorb new learnings to share with clients, I also had a chance to chat with ITSP Column Editor/Reporter Selena Templeton about corporate cultures, diverse experiences and messaging. Check out our conversation in this podcast! From Evil Kermit the Frog to Ryan Gosling’s “Hey Girl,” some memes just explode across the internet and grab everyone’s attention. Could a similar strategy work for internal communications? YES. 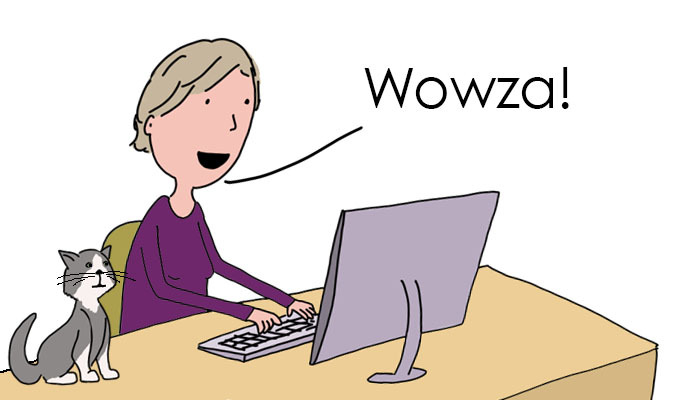 A meme is simple: Just a piece of visual content paired with text. Externally, organizations use memes in all sorts of ways – brand, product and service marketing, for instance – and typically on social media platforms. But the same approach also can work internally – and humorous content definitely catches employees’ attention. Know your culture. Humor can work in any organizational environment, as long as you align your meme to your organization’s underlying values. Know your objective. The best internal communications memes don’t just bring the funny, they have a purpose. A meme can stand alone or be incorporated into a broader campaign. As examples, a meme can communicate an outcome you’re seeking, a policy you’re unveiling, a process you’re reinforcing, or a mission you’re promoting. Know your distribution. If your organization has an internal social media channel, memes fit perfectly there. No social media platform? You’re not out of the game. Use your intranet, email communications, newsletters and other vehicles to release memes. Internal memes inject fun and creativity into your communications, and they spark conversation. Why not give memes a try? Tempted? 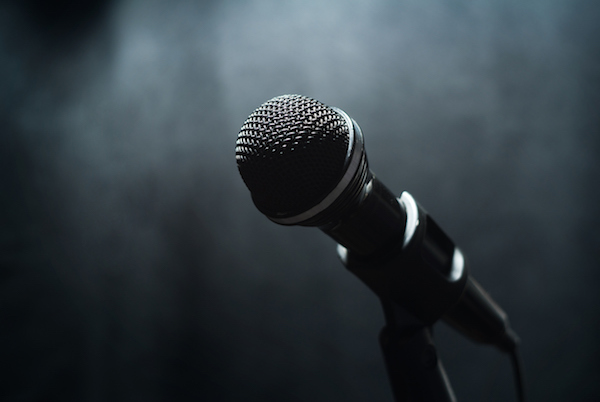 If part-time comedian isn’t in your job description, RNB Communications can help! 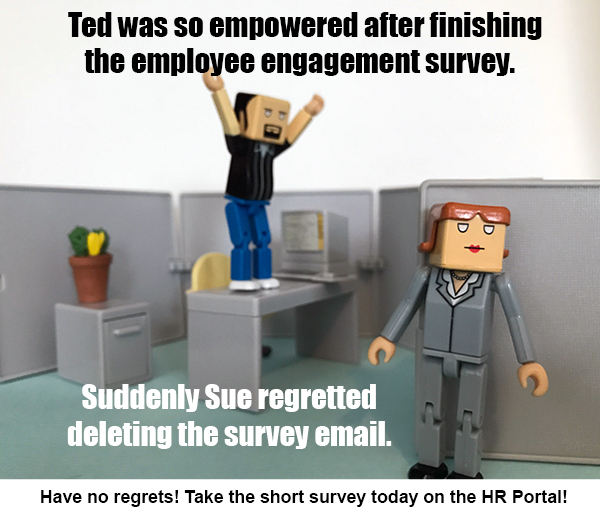 We produce customized internal communications memes for clients – as standalone messages and as elements of broader employee programs we create. Contact RNB Communications today to get started. We seriously know employee communications, and we know humor too. With a little bit of knowledge about your culture, objective and distribution, we can whip up some wit that’s just right for you! We’ve all had that “oh no” feeling when you just wish you could have had a do-over. We’re not all Adele, but we can be just as brave. When Adele stopped and re-started her George Michael tribute performance at the Grammys, millions gasped, me among them. She was disappointed in herself and refused to do less than her best – or at least try. I’ve been an adoring Adele fan since the start of her career, and seeing her in concert last year was a “bucket list” item for me. I admire her for so many reasons—her massive talent and artistry, joy for life, commitment to her principles, and her humble, nurturing and open relationship with fans. Adele is funny, zany even. She “keeps it real,” which is why she has a planet of fans. When Adele stopped the music and then mustered the courage to start again, it only made me admire her more. She won the night, not just the awards. I rewatched her restart several times, and it made me think of the times I wished I could have had a do-over or just done things differently. And also the times I had. In my career, I’ve gone from network news to corporate positions to running my own business, now in year 17, thanks to amazing clients and talented colleagues. I made choices that have shaped my life for the better, even if I couldn’t always see that at the time. Along the way, I’ve also had my share of “oops” moments where I just had to recover and push on. I’ve sometimes wished I could have rewritten a conversation I’d had or handled a client situation better. When I worked for the CBS Evening News, for a time, Dan Rather (a personal hero to me) closed the broadcast with just one word: Courage. He says it often these days too. The next time I find myself in a situation requiring a restart, I’m going to remember Dan’s word and Adele’s performance on the Grammy stage. All of us face these times, and a little courage during life’s moments, large or small, can carry us through. When RNB produces animated videos or motion graphics for our clients, we partner with the wildly talented team at The String Theory. The String Theory also designed and animated the graphics for O.J. : Made in America, the now Oscar-nominated winning documentary. Congratulations to our amazing friends at The String Theory! RNB and our exceptional partners deliver quality, award-worthy solutions. Contact us today so we can put our talents to work for you. The RNB team thanks all our clients and colleagues for the gifts of creativity and collaboration. We wish you all the best for a kind, caring and peaceful 2017. In recent days, we’ve heard a lot about the importance of listening – to understand another’s viewpoint on politics or their life experiences, for example. Yet in times of crisis or change, listening can be the one thing people fail to do. For those of us who have spent our lives in the field of communications, we know how important it is to always listen…before crafting a strategy or writing a word. Recently, RNB had the opportunity to support a longstanding client as the company experienced great change. Under new ownership and with a new leader, there was a desire to rethink employee communications approaches. For this engagement, RNB facilitated conversations among the communications team and leaders, encouraging everyone to listen to all perspectives. From there, new strategies and tactics were developed; a new program is being implemented in thoughtful ways, and new relationships are building. RNB can help your communications team, leaders and employees have meaningful conversations and move forward together. Contact RNB today. Let’s start talking … you know we’ll be listening. 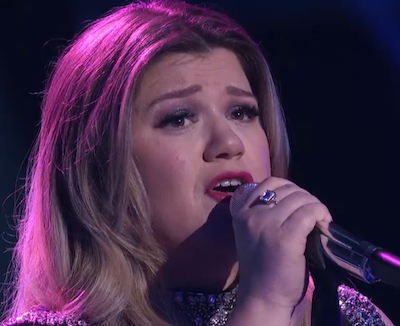 I was privileged to be in the live audience at American Idol when my long-time favorite artist, Kelly Clarkson, sang her moving and very personal song, Piece by Piece. She was overcome with emotion, as was everyone there, including me. It was special to witness that moment live, then incredible to see Twitter ignite with positive feedback and sales of Kelly’s music skyrocket. So why was there such a reaction? And what does Kelly Clarkson have to do with internal communications? As a massive fan of Kelly’s music for 15 years, I’ve been awestruck how, as an artist, she so bravely reveals pieces of herself in her songs. Her words yield powerful and touching personal connections among her fans. So after over a week of re-watching Kelly’s emotional performance and witnessing the amazing worldwide reaction, I realized something: In internal communications, we often don’t get personal enough. As journalists and internal communicators, we were trained differently. We learned to write clearly and directly about business strategy, processes and results. This is essential, of course. But Kelly’s soul-bearing Idol performance reminded me that the there is a place for more. The most powerful communications I’ve written in my career have been those where I showcased a client’s message by telling a story – a patient’s battle with a life-threatening disease; an employee’s quest to make improvements and make a difference; a company’s commitment to a cause. These stories brought the company’s messages to life; they touched and motivated employees – and me. I’m going to look harder to unearth personal stories to convey clients’ important corporate messaging. For inspiration, I’ll keep Kelly Clarkson in my heart and mind. Our Newest Client: RNB Teams with Apria Healthcare for Information Security Communications! RNB Communications is overjoyed to be partnering with Apria Healthcare Group Inc. to develop and execute information security communications for the company’s nearly 8,000 employees. Apria Healthcare is one of the nation’s leading providers of home healthcare medical equipment and related services. RNB will apply our collective expertise and creativity to strategize and implement an array of communications to help Apria raise awareness among employees about information security risks. And through our unique and proven approaches, we will provide the company’s employees with skills and behaviors to protect Apria and themselves – at work, at home and on the go. RNB is delighted to again be working with Jerry Sto.Tomas, Vice President and Chief Information Security Officer at Apria. 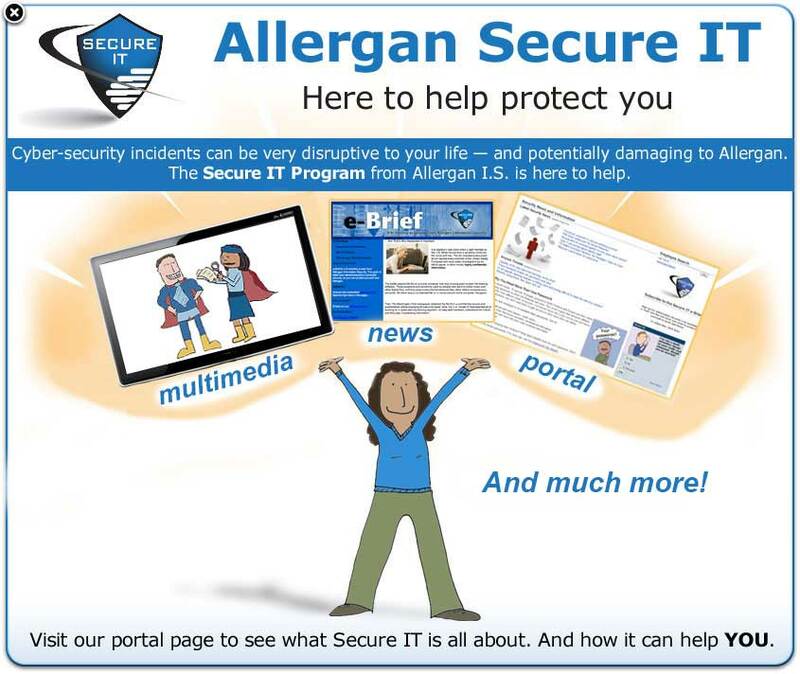 Previously, the RNB team partnered with Jerry to implement a world-class security awareness program for Allergan in a relationship that began in 2008. Interested in bringing your Information Security communications to a new level? Contact RNB today. We follow the sun – literally. Clients in Europe love that they can ask for communications support at the end of their day, then arrive the next morning to an email from RNB…with the first draft of that announcement they needed or the finished PowerPoint slides for their morning meeting. Next up, the US East Coast – that’s a mere three hour difference, so no problem for clients or the RNB team. I’m usually on my third cup of coffee when California clients are just arriving to work. And the occasional afternoon calls to Sydney or evening calls to India aren’t an inconvenience from LA either. At RNB, we don’t ever see time zones as barriers. We use them to maximum advantage for our clients. It’s a privilege to support employee communications for global companies and to work with their employees all over the world. 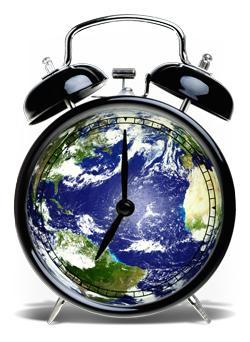 We just love the customized Personal Clock and Meeting Planner tools at: http://www.timeanddate.com/worldclock/. And while my alarm clock is set to its loudest setting, I’m typically awake before it even goes off, ready for the world’s work ahead! Thank You for These Wonderful 15 Years! Thanks for being part of #RNB15! These have been the best 15 years with great clients, amazing partners, wonderful friends and a supportive family! Your kind comments truly have touched me. RNB would not be what it is today without the amazing talents of Adrienne Hedger, Katie Sweeney, Kathy Baum, Teresa O’Connor, Greg Vogel, Ron Morris, Mike Spasoff, Troy Chollar & TLC team, John Denlinger, Janet Schieber, Julie Bos, Betty Henry and many others. To all the clients along the way, including longstanding partners, and newest clients Western Dental (Andy Ortiz from HN days! ), Cedars-Sinai (Betty Henry from HN days!) & Benjamin Moore (Susan Freije from Colgate days! ): It’s my joy and my honor to create exciting internal communications with you! Thank you for being along for this journey! RNB15: Throwback Thursday. 2008. RNB’s relationship with Allergan begins. Information Security Officer Jerry Sto.Tomas gives RNB team the creative freedom to produce communications to raise employees’ cybersecurity awareness and instill good cyber-behaviors at work and at home. Newsletters, posters, fun videos, comics, games and so much more. There are no words to fully thank Jerry for his confidence in RNB. Gratitude to Jeff Winston, Pauline Tsang, Mengchen Li, Chris Garber and so many others for inspiring us. I’m so thrilled to continue partnering with the new Actavis + Allergan, led by Information Security Officer Mike Towers! RNB15: Throwback Thursday. Dear to my heart - supporting The ALS Association. With Blackstone Media Group, I’ve had the privilege of producing PSAs to raise awareness about Lou Gehrig’s Disease and videos to help ALS patients and their loved ones. This has been among the most meaningful work of my career. It was an honor to help so many courageous families and patients, like the late Eric Obermann, to share their stories. I cherish beautiful memories of time shared with special people whose time was so precious. My heartfelt thanks to the ALSA team, especially Jeff Snyder, Greg Cash, Gary Wosk, Sharon Matland & Gary Leo. RNB15: Throwback Thursday 2003. It’s truly an honor to provide internal communications support for Novartis, a relationship that endures to this day. This caring company first invited RNB to support the OTC business. Since it was first formed, RNB has been privileged to partner with the Oncology Business Unit. Today, the RNB team’s reach expands to many others in Group & Pharma. 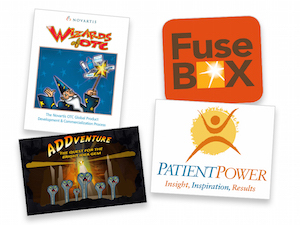 We’ve produced countless articles, presentations, videos, campaigns and more for this amazing patient-focused company. Impossible to name all, but admiration and thanks to Nancy Fitzsimmons, Elizabeth Kearns, Julie Keenan, Jeannie Neufeld, Susan Hayes, Heather Bochner, Tina Tuttle, Jessica Pansini, Scott Young, Tia Viering, Alice Berringer, Irina Paullay, Kathryn Maiolo, Tawfik Kamal, Ina Eckert & Nicole Burke. RNB15: Throwback Thursday! Year 2000! Health Net (then FHS) becomes RNB’s first major client and the start of a great relationship that would last for years! 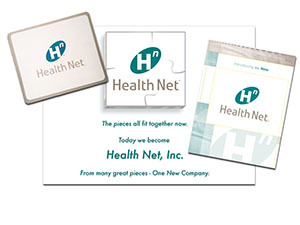 I was proud to create multi-media internal communications for Health Net, starting with collateral announcing the company name change. RNB produced this video,“Transformation,” with Blackstone Media Group’s John Denlinger, to showcase the technology revolution in the industry. Thanks Jay Gellert, David Olson, Lisa Haines, Karin Mayhew, Lori Hillman and many others for being there at the beginning of RNB! I have such fond Health Net memories! Two RNB pharma clients are in the midst of integrating new businesses and onboarding new associates. It’s an exciting time for many, an anxious one for some. To yield positive change, we’re helping clients to develop strategies, messaging, materials and more. Is your organization facing integration or change? Let us help you! Contact RNB today. RNB Communications has proudly partnered with The ALS Association for years. 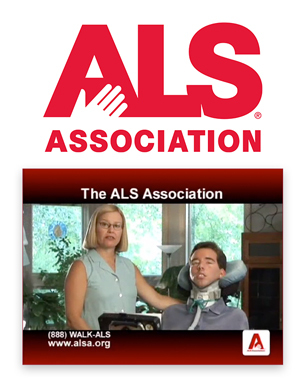 It has been our honor, with Blackstone Media Group, to produce many videos – for people living with ALS and their caregivers; to showcase the Walk to Defeat ALS; and Public Service Announcements. Visit the RNB Screening Room to see a few of our productions in support of this meaningful goal. When Avery Dennison moved to its new high-tech headquarters in Glendale, Calif., RNB provided content, ads, videos, training, manuals, maps and more to help employees learn how to use all their new, sophisticated technology tools. Contact RNB to help your company communicate its big move…or to help employees understand I.T. matters every day. Fun With Town Hall Presentations! The RNB team helped a client create a memorable Town Hall employee meeting to kick off their 2014 plans. To present this group’s priorities in a fun and impactful way, the event had an Olympics theme! Sprinkled throughout the presentation were “commercial breaks.” In them, executives and staff were featured in animated cartoons, like this one of RNB! 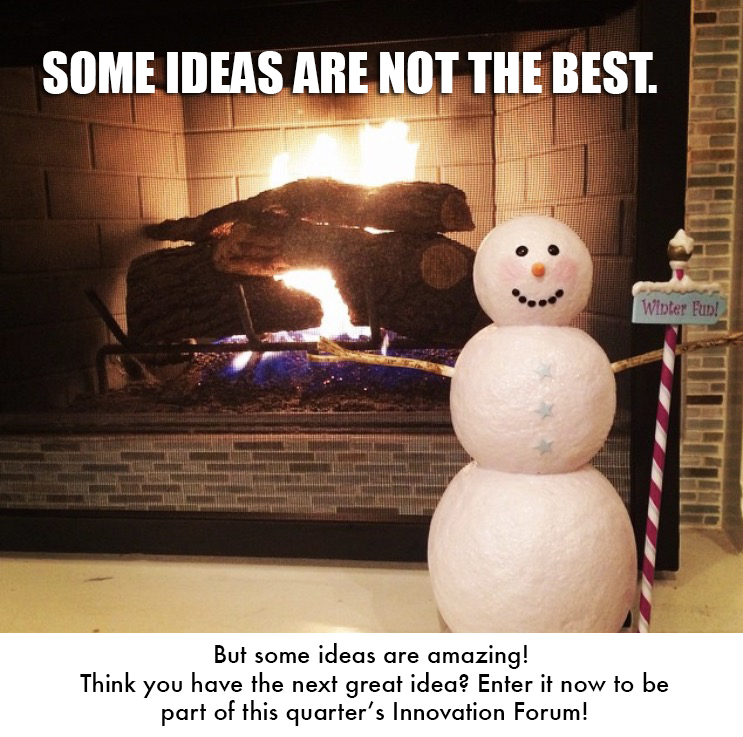 One spark can inspire innovation. RNB is supporting our global client’s employee Innovation Challenge with branding, messaging, multi-media and more. Employees have responded, delivering creative new solutions. See an excerpt of the RNB-produced video in the Screening Room. On August 22, Randy Bergman will host a roundtable discussion on Innovative Internal Communications for the Healthcare Public Relations & Marketing Association of Southern California (HPRMA). The lunchtime event, held at the beautiful Catal Restaurant at Downtown Disney in Anaheim, will feature several hot topics facilitated by different communicators. Attendees can take part in more than one discussion, share ideas, get answers, and network! While RNB global corporate clients are busy implementing their 2013 business plans, they are also taking time to address their employees’ career development needs. RNB is pleased to provide communications that help companies grow and sustain their talent…and encourage employees to take ownership of their own careers. Around the world, RNB clients continually assess their talent to ensure they have the best people in the right roles. RNB works with clients to develop creative recruiting and new hire communications – articles, designed materials, multi-media and much more. We also help clients to communicate to their incumbent employees about career development. A common message: A career is a partnership. 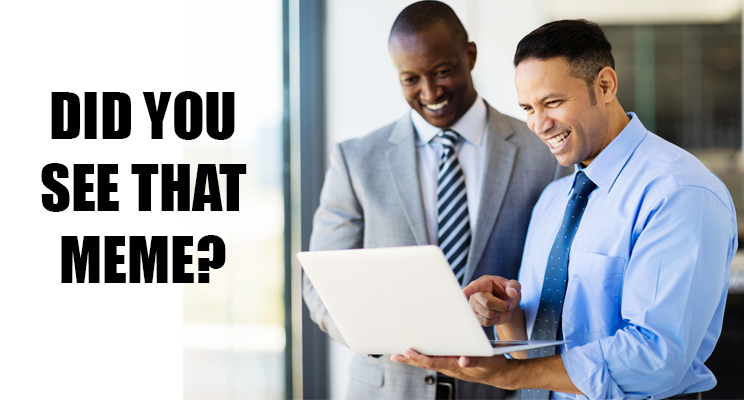 The company can provide resources for growth; employees must take charge of their own careers. Does your company need help to attract, welcome or develop employees? Contact RNB so we can build creative communications that achieve results for you. Delivering complex messages to your audiences doesn’t always require complex communications. RNB offers custom illustration and graphics animation, often combined with storytelling, to communicate in a fun and informative way. To illustrate just some of our capabilities, RNB has a new Animation Sampler in our Screening Room. Our clients have used our custom illustrations and graphics capabilities for a wide array of global communications: policy and compliance training, information security awareness, celebrating achievements, and more. Some are single subject productions, others are multi-part series, with subtitles in over a dozen languages. Want to learn more? Contact RNB, and let us help animate your communications! Many companies are placing the latest, hottest technology in the hands of employees. Tablets and smartphones are becoming more popular for everyone from field sales to senior management. Several RNB clients are offering their employees support for these high-tech devices in a surprisingly low-tech way. Face-to-face walk-up service is what’s new. While the IT Help Desk — via phone, email, intranet or text — is still a highly important component of the support services RNB’s clients offer their employees, several companies have realized the value of providing in-person support. The latest Help Desk is actually a walk-up kiosk or concierge service desk. With appointments or without, employees are able to get one-to-one, face-to-face expert IT advice and help for their tricky new technology gadgets. RNB is excited to be supporting several client companies as they introduce these personalized services for their employees. We’ve been engaged to creatively name and brand these walk-up services. We’re preparing creative and fun launch communications. And we’re crafting information so employees know exactly how they can take advantage of this new in-person support. For those of us in Los Angeles, the end of awards season is a little bit sad. We’ve screened all the films. We’ve voted for our favorites. We’ve watched as our various guilds and societies nominated and selected their winners (which we may or may not have agreed with). And then, in a flourish, the Best Picture is announced, the season is over, and we begin the cycle again. For clients of RNB, awards season is, refreshingly, a year-round occurrence. Throughout the year, it makes me happy to learn about a wide array of outstanding employee accomplishments, then prepare speeches, slides, emails, and articles, all while keeping everything top secret! Corporate internal awards may not always have the glitz and glamour associated with Hollywood’s awards. But when employees hear their names and achievements announced at a company Town Hall or a dinner event, I know they are filled with just as much pride as any actor or director receiving a gilded statuette. So I’m honored to play my role in corporate awards too! As most people remember from childhood, learning new things often comes easier when it’s delivered in the form of a game. How does this approach work for corporate employees? 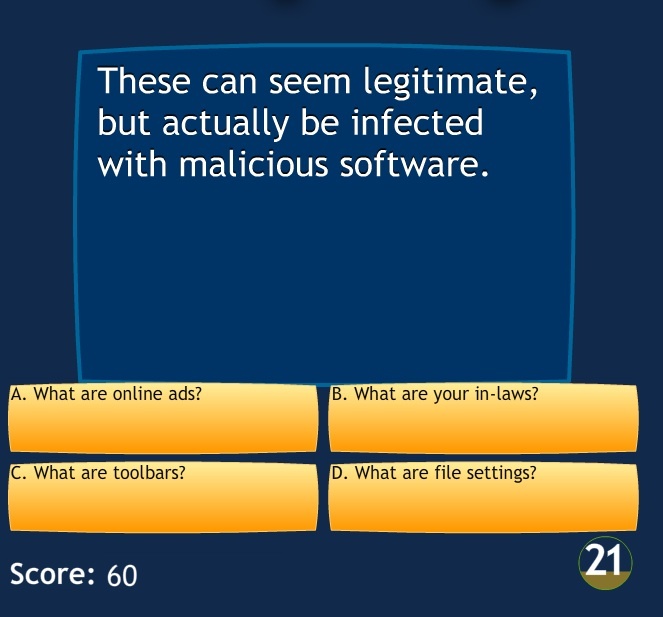 RNB recently adapted a famous TV game show to help educate employees of a global pharmaceutical company about the importance of Information Security. Six categories. Five questions increasing in difficulty and points. Answers delivered in the form of a question. You know the game, of course. “Social Media for 100,” please! 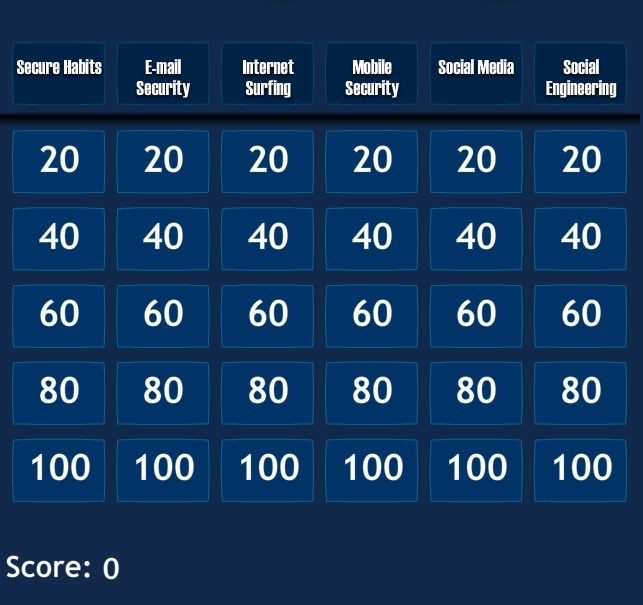 Using this internationally well-known format, the RNB team created 30 clues, 120 multiple choice answers, and 30 teaching points about all aspects of Information Security. The content was delivered as a standalone interactive website. 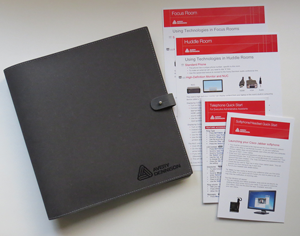 It was designed to work equally well online as an intranet tool…and offline for use at events. This game premiered at a lunchtime event where dozens of employees had fun testing their knowledge…and learning. Their feedback: Questions were tricky! 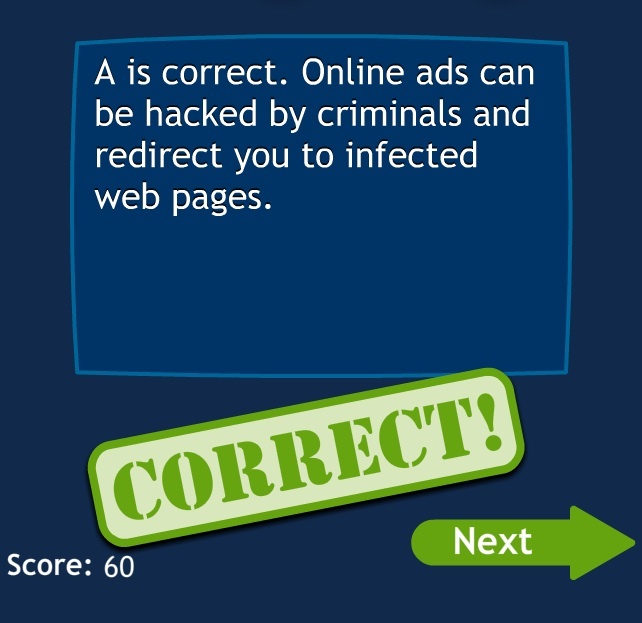 Delighted our game offered multiple choice answers! But…the 30-second deadline, advising them they were ”Too Slow” to answer a question, was definitely a challenge! Our client was excited by these results, and has asked RNB to make the game available on the company’s global intranet for all employees to play and learn. Perhaps a company-wide Tournament of Champions is next?! If you’d like to produce a game show to educate your employees about topics important to your business, Contact RNB. It’s customary for companies to report about strategic initiatives after they’ve been completed. Showcase the results. Share the lessons learned with employees. For our client, the RNB team is talking with employees around the world to discover how they are approaching their 2011 assignments, long before the results are in. We’re reporting their stories on the company’s global internal portal — as articles, supported by audio soundbites and simple PowerPoint slides. By reading about one another’s activities in progress, employees can learn from each other, share new approaches and better understand how their individual contributions directly impact the company. Would you like to unearth and report interesting stories in your company? Contact RNB to learn how we can bring your strategic initiatives to life. “You have ALS.” Devastating words to hear. In a video written and produced by RNB Communications for The ALS Association, patients with ALS (Lou Gehrig’s Disease) courageously ask the tough questions and receive honest answers about their disease and prognosis. Three patients. Three stories. One disease. ALS. This touching video called “You Are Not Alone” was created for newly diagnosed ALS patients and their families. In it, three patients living with ALS ask the tough questions and share their personal experiences. By doing so, they hope to help others just like them. RNB is proud to support The ALS Association and those it serves. 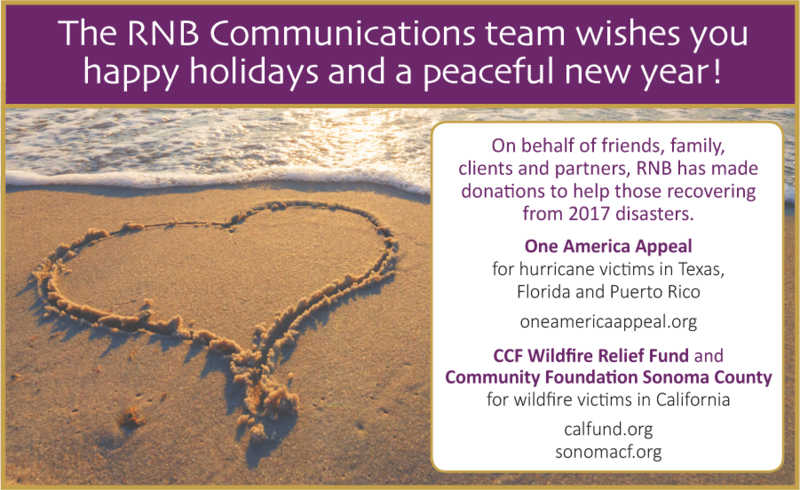 We look forward to continuing our ongoing relationship with this non-profit — and offering other non-profits our communications assistance. Two phrases you might not expect to be connected. For The ALS Association’s Vision Magazine, RNB interviewed and wrote a story about a senior couple brought closer together by Lou Gehrig’s Disease. RNB is proud to include non-profit organizations among its clients. We welcome projects, large and small, to support their communications efforts. For The ALS Association, RNB often produces video programming. Recently, RNB wrote a touching magazine story about a senior couple in love who decided to donate funds to The ALS Association. Read for yourself how Lou Gehrig’s Disease and this love story play out in the “A Love Story” article on page 7 of the Spring 2010 edition of Vision Magazine. It was time. Time to say goodbye to the old RNB website and usher in a new one. So, welcome to RNB Communications’ brand new website! This new site shines the spotlight on what matters most to visitors like you — the work we are doing and the clients with whom we are partnering. Our services include communications strategy and planning, employee communications, I.T. communications, branding and identity, event production, video and multimedia and support for non-profits. Throughout the site, see extensive samples of our portfolio. Take a seat in the screening room, and watch our award-winning video productions. Then contact us to let us know how we can help improve your communications. Thanks for visiting RNB Communications. We look forward to working with you!